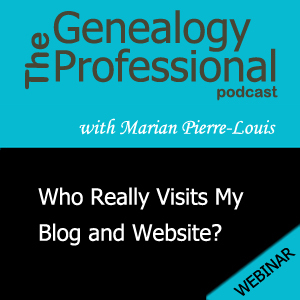 Mary Tedesco is a professional genealogist, speaker and author. 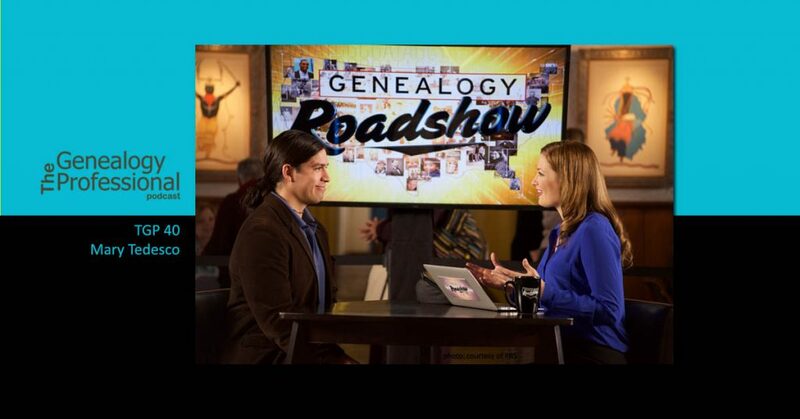 She is a Host / Genealogist on the PBS TV series “Genealogy Roadshow” (season 2 & season 3) as well as the Founder of ORIGINS ITALY. Mary speaks fluent Italian and travels often to Italy to conduct client genealogical research and visit family. Mary is the co-author of “Tracing Your Italian Ancestors” an 84-page Italian research guide published by Moorshead Magazines. She holds a Bachelor of Arts in Mathematics from Boston University and a Certificate in Genealogical Research from Boston University’s Center for Professional Education. In addition to her Italian ancestry (Calabria, Trentino-Alto Adige, and Tuscany) on her father’s side, she also has deep American roots (German, Irish, Danish & English) on her mother’s side and is a proud member of the Daughters of the American Revolution. Mary is a member of a number of local and national genealogical societies. One of the most important things that Mary said was to figure out what is unique about you. That is a critical part of owning a business. What separates you from everyone else that provides the same service. If you’re a Massachusetts researcher, what separates you from the next Massachusetts researcher? Is it that you focus on Colonial research? Or perhaps you focus on people with Irish heritage in Massachusetts. Or maybe your specialty is Massachusetts military records. Figure out the thing that makes you unique. Your action item this week is to figure out what is unique about you. How are you different from everyone else in your broad niche? And then take it a step further by determining how you can communicate that uniqueness either on your website or your professional profile or your social media profiles. Because it won’t do you any good to keep your uniqueness to yourself! Most of you have heard of Google Analytics. Did you know that you can use Google Analytics to track your Blogger blog and even your YouTube channel? In addition to all the great information that Google Analytics provides you can take it one step further using a tool called utm tracking. It’s free just like Google Analytics and I’m going to show you how to get started and why it’s so powerful to use. And it’s not just for professionals. Anyone with a blog, website or YouTube channel that wants more information about who is visiting their site will be able to make use of this. This is not a free webinar, the cost is $24.99 but it will take you to the next level. And if you can’t watch it live you can still sign up to get the replay and handout. Sign up for the TGP mailing list!